This is a simple guide to help you apply epoxy floor paint, requiring a simple roller to apply two coats to a floor. Before applying the paint, you need to prepare the surface of the floor to make sure it adheres to the paint. This will entail saning, diamond-grinding, or in some cases chemical cleaning. You may also need to sweep and clean the floor using an industrial vacuum that can remove the smallest dust particles. Otherwise you will have various particles trapped within the coat and you will experience poor adhesion. Next, you’ll want to prime the floor using a suitable epoxy primer. Keep in mind that priming is always necessary, as it will expand the lifetime of your floor and improve adhesion, while also sealing the substrate and subsequently preventing gases and bubbles. Priming also makes it less necessary to use all of the product applied later. Make sure that the area has sufficient ventilation prior to priming, and use a proper electrical mixer to mix both components of the primer. After applying primer, it’s time to fill any cracks and holes with epoxy grout. Thin cracks may require slicing with a diamond cutter prior to filling to improve anchoring. Now it’s time to apply the first flooring coating of epoxy floor paint. You need to empty all the contents of the hardener in component A, and mix for at least two minutes using an electrical mixer. Make sure your mixing is sufficient or you’ll have a tacky floor as a result of poor mixing. The next step is to apply the epoxy paint mix with a roller. Make sure the roller is of good quality and won’t shed. Make sure that all cracks and holes or other faults are filled before applying the second coat. Some surfaces may require sanding if they’re uneven after applying the first coat. Once you’ve done this, it’s time to apply the second coat, but make sure to wait at least 24 hours. By following this guide you can successfully apply epoxy floor paint to your floors, whether it’s for a garage or a retail facility. 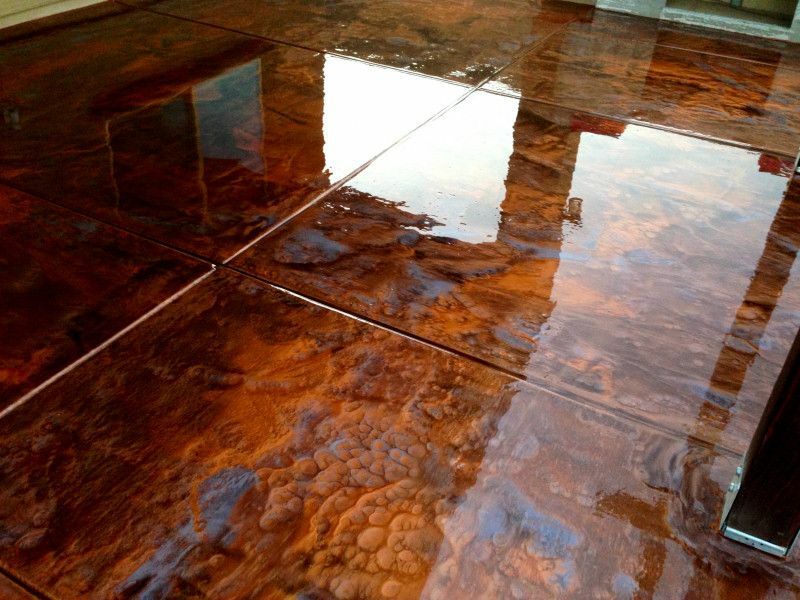 If you believe that you need more heavy-duty epoxy for your flooring, you may benefit from the installation of high-quality epoxy flooring with the help of professionals. A professional epoxy floor installation company will be able to install a reliable epoxy solution that keeps your floors in shape for many years. With epoxy floor paint or other epoxy solutions, your facility will have a floor that lasts for many years without the risk of damage that might otherwise be present. In the end, having an epoxy-coated floor can be an invaluable asset for your business, giving your facility what it needs to stay protected from damage for many years. Whether your facility experiences regular foot traffic or contains chemicals that could damage floors, epoxy is a solution that can make sure you don’t have to worry about these hazards.